Leslie will be doing a new focus group on The Emotionally Destructive Marriage so watch your email inbox this week for information on how to join. Spaces will be limited. Did you ever wonder why Jesus personally spent so much time in prayer? He certainly didn’t need to tell God what was on his mind, yet Jesus described himself as always doing what his Father told him to. Perhaps it was in prayer where Jesus did more listening than talking. He listened for his Father’s voice as well as asked for his Father’s perspective on what was happening around him. As human’s, we live on the temporal plane. We see what’s happening in our own back yard and often feel angry, scared or even envious of people who don’t follow God but seemingly have it all. The psalmist described his own battle with this in Psalm 73 where he saw the prosperity of the wicked. People were getting away with horrible sin and living the good life, free from any pangs of conscious. Those who tried to live according to God’s plan were suffering, and Asaph was tempted to believe that walking in God’s way didn’t pay off…until he entered the sanctuary of God. It was in that sacred space that God gave him a pair of new glasses to see things completely differently. I love that about God, don’t you? Even when we’re a mess, we still belong to him. He holds our right hand and wants to give us a pair of God-sized glasses not only to see our situation differently, but to also come to know how much he loves us in spite of the way we are. So friend, have you visited the sanctuary lately? Take time out today to be still and know that He is God (Psalm 46:10). I Have To Control Finances. Does That Mean I’m Abusive? Question: My husband is on disability. He is a video game addict and is bipolar, verbally and emotionally abusive and deceitful. He is also very bad with money. Because of this, I have had control of the finances. He absolutely refuses to work with me, but will only have me or him in charge of the money. I can't trust him to pay bills and provide for our needs. I work and go to school full time. We have teens and a 7th grader. I heard you on the radio and you claim it is abusive to control the finances; however, any time I allow him to use money, he squanders it and I have to figure out a way to make ends meet with what's left. I do not hold all the money, but I do tell him to pay this bill and that bill and go with him to be sure he pays it. When I haven't, he does not pay the bill. Then when I get a shut off notice, he acts like he paid it and doesn't know what happened. He constantly asks for more money to spend and asks me to buy him things. He even tries to pressure me into buying him lunch with my scholarship money when I go to school and eat at the cafeteria. He flunked out of college because he was lazy and addicted to gaming and didn't do his homework. So my question is, what is the right way to handle this? Answer: I share this question because it’s so easy to take something someone says out of context. I have said when one person in a marriage controls all the money and delegates the other partner to the status of a child or slave, that marriage is destructive. Yet when one of the partners is behaving like a child and is unwilling or incapable of assuming adult responsibilities, it is not abusive to control the money. It may be the wisest choice you can make for the welfare of all people involved. I’m so glad you are taking steps to educate yourself so that you will be able to get a better job in the future. It sounds like you carry the full weight of the family responsibilities with no support from your spouse. Those who suffer from bipolar often do have problems managing money and, during a manic phase, can spend large sums of money putting the family in peril. I have two questions for you. First, where are you getting support? Do you have family who is around that helps you? Friends? A church community? You are carrying a heavy load, friend, and sometimes as women we take care of everyone and everything but neglect ourselves. Please make sure you are taking good care of you. If you get sick or fall apart, your kids will not have a functioning parent. My second question is, what example and influence is your husband having on your children? They see a grown man playing games all day while their mom works full time, takes care of the house and them and goes to college. They see their father be verbally and emotionally abusive and regularly lie with no consequences. What is this telling them about how men behave, how father’s treat their children or men treat their wives, or what women should endure or tolerate? Do they have good friends who have healthy dads so they get a different picture of what’s “normal”? There are no easy answers here. It is a very real problem many women live with. Friends, what words of encouragement can you offer her about ways to get support, how to take good care of herself in the midst of all she does, or the effect this might have on her children in the future. Do You Have Your God Glasses On? 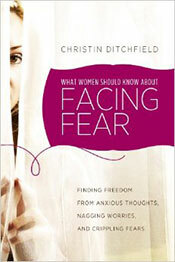 What Women Should Know About Facing Fear by Christin Ditchfield. Plus see the winner of the previous give away! Leslie will be doing a free seminar on The Emotionally Destructive Marriage on Friday, October 25th at Faith Church in Trexlertown, PA.
You don't have to be held captive by your fears. Author Christin Ditchfield knows what it is to be bound by fear - and to be set free. Sharing from her own personal experiences and the life-changing truths of Scripture, she will help you recognize the stranglehold that fear can be and break free from its destructive power, identify your own unhealthy responses to fear and discover more effective strategies, find courage to face your fears head on and conquer them, and experience for yourself "the perfect love that casts out fear" -- so you can know true Peace. To win this book, please email your name to assistant@leslievernick.com by midnight Sunday, October 6th. The winners of The Emotionally Destructive Marriage DVD by Leslie Vernick are are Diane M. of Hennessey, OK and Edwin T. of Sydney, Australia. "I really appreciate the common sense, biblical approach Leslie has in coaching. It's been life changing for me! 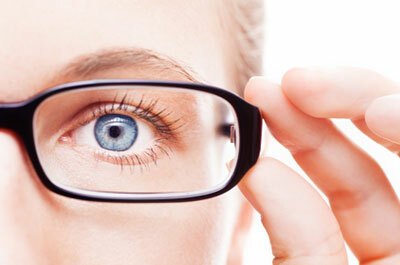 I look at life and my marriage through a different set of glasses now, a much healthier set. I came from a dysfunctional family and have had a pretty dysfunctional marriage--now it's healthier because of this coaching experience. I feel refreshed after talking to Leslie. It's like the struggles of life get the "lens" of my life cloudy and after talking with Leslie--I see better!"